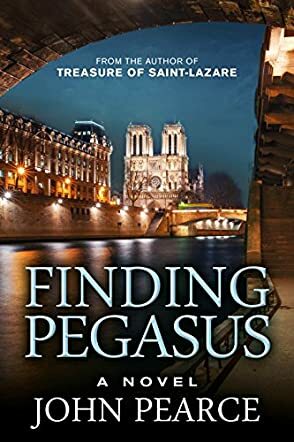 Finding Pegasus by John Pearce is a fast-paced action thriller that would actually make a really good movie or a TV series. This is the third novel in the Eddie Grant series and I have not read the previous two novels. However, this meant very little because I was invested in the story immediately. Eddie is such a likable character, one who knows what he is doing and how he should take charge of the situation. He is among those strong characters that carry the story and give it a new life. I enjoyed his complexities, his charm and his witty demeanor a lot. The story begins with a bomb blast in the still of the night. While the bomb wreaks havoc, a team steals weapons that the CIA was hoping to use in the war against neo-Nazis. Barely getting away alive from the bomb blast, Eddie and Kate are joined by Mark to find out who has these very important weapons and what they want to do with them. However, finding them is not easy, especially when they have to search countries to even come up with a clue. Can they do it? Can they find the truth in time? These characters were amazing. I enjoyed how cool they were and how in tune they were with each other. I enjoyed the chemistry between Eddie and Kate and enjoyed the relationship between these two and Mark. They gave strength to each other and they added brilliance to the story. The flow of the story was great; the plot moved effortlessly and the author made sure that the characters had the space and the time to develop properly. Simply amazing, I enjoyed Finding Pegasus immensely.